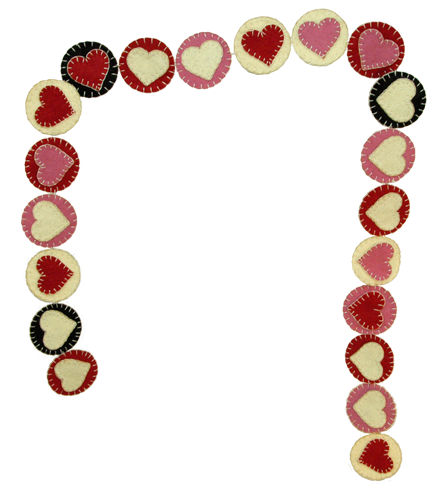 The Valentine garland kit makes an assortment of heart/penny ornaments which can be strung together to make a garland. 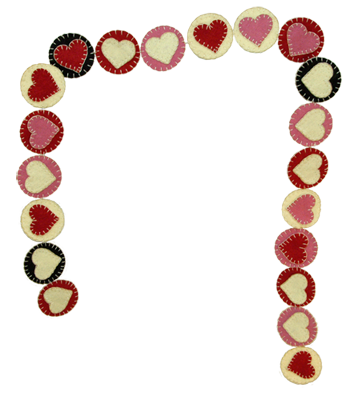 It contains a combination of cream, black, red, and pink 2″ pennies on which are red, cream, or pink hearts. You only need one stitch to put this together: a blanket stitch. It's a great project for a beginner to help you practice your blanket stitching.